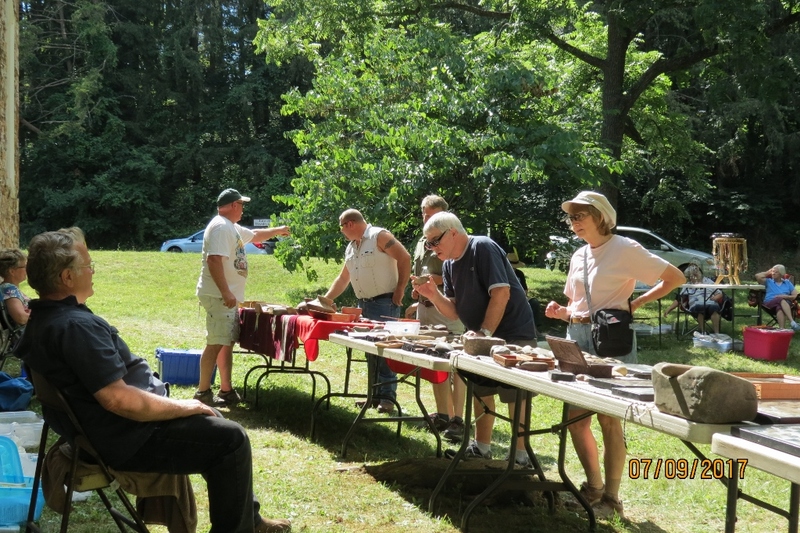 Another successful event was held at the Tuscarora Academy on Sunday, July 9th as local collectors Steve & Dennis Zeiders & Andy Paige gathered to display their collections of Native American Artifacts. 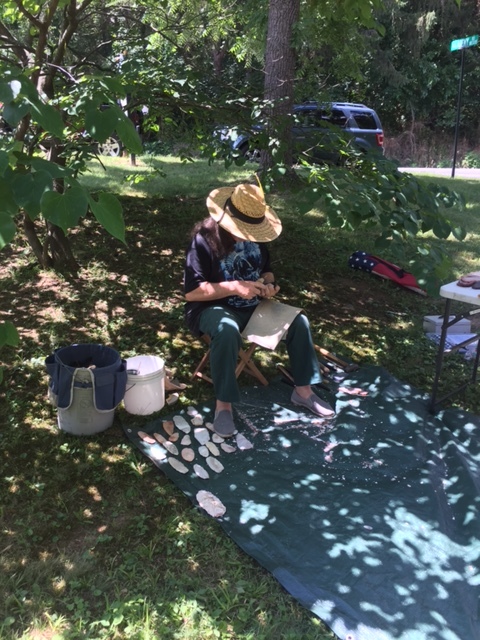 The beautiful weather brought people out and many brought their own artifacts to be analyzed by the experts. People both young and old gained a lot of knowledge! I personally want to thank everyone that came out Sunday and supported us. 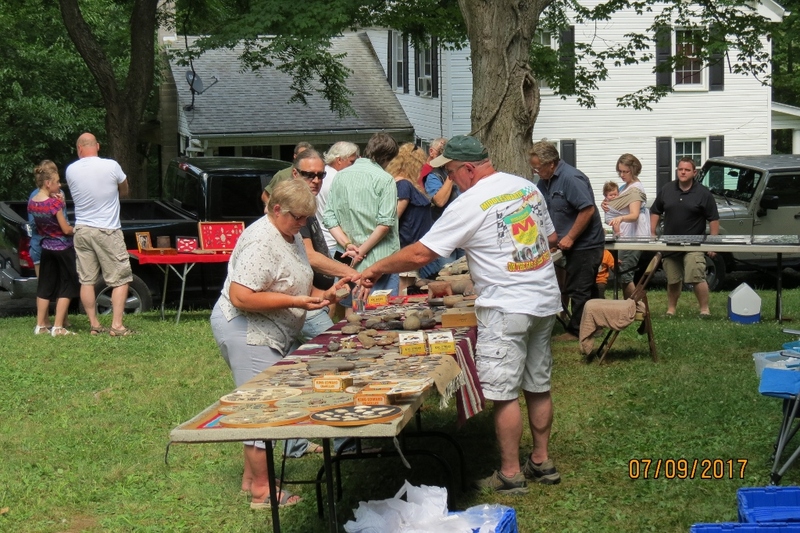 Our society does not function without the interest and generosity of the citizens of Juniata County. Photo taken by Austin Willi. 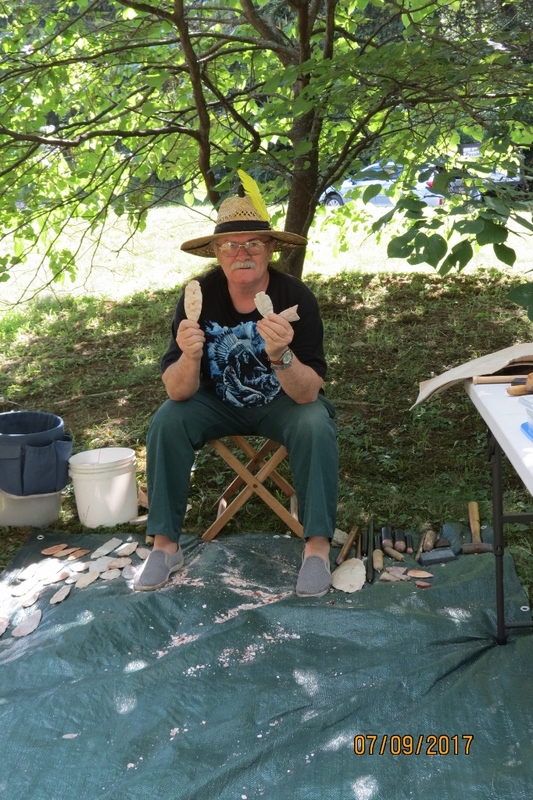 Terry Wray was there as well [first two photos] doing flint napping.